The nine-day Navaratri in Kerala is mainly dedicated to the worship of Goddess Saraswathi. Vijaya Dashami the 10th day after Navratri is observed as Vidyarambham. 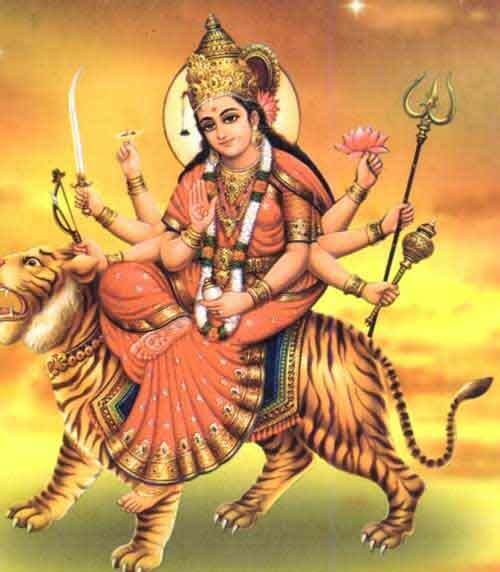 Navratri 2018 is from October 10 to October 19. Vidyarambham is on October 19. Navratri in Kerala is noted for musical concerts. Musical nights at the Navarathri Mandapam in Thiruvananthapuram (Trivandrum) and Navarathri musical concerts and dance nights held in other major towns and cities in Kerala attract thousands of people. In some place in Kerala during Navratri, first three days is dedicated to Goddess Saraswati; Lakshmi during the next three days and Durga on the last three days. Some communities in Kerala especially Tamil Malayalis in Trivandrum, Palakkad and Ernakulam keep Navratri dolls or Bommai golu dolls during Navratri. Some devout Hindus abstain from non-vegetarian food during the nine-days of Navratri. But for Malayalis Navratri is mostly noted for Ayudha Puja and Vidyarambham. Ayudha Puja is observed on the last day of Navratri. Vidyarambham is observed on the next day. On Ayudha Puja day all books, musical instruments, utensils, tools etc are not touched and are kept for puja. It is only taken on the next day after proper puja. Children are also initiated into the world of letters on Vidyarambham day by elders or literary figures in Kerala. The musical nights at the Navarathri Mandapam in the Kuthiramalika Palace or Puthenmalika Palace near Padmanabhaswamy Temple is an experience of life time. Oil lamps light up the place and the Kuthiramalika Palace which is an architectural gem form the backdrop. The air is filled with fragrance of fresh flowers, sandalwood, incense and camphor fumes. The ambience is spectacular and the voice of masters of Carnatic music makes it one of a kind experience. The concerts start exactly at 0600 hrs and conclude at 2030 hrs.